To avoid the distraction of designing something while I have so much work to do for uni I thought I would knit something from a pattern. Something intentionally dull to knit so that I could work on it when my hands needed something to do but that wouldn’t require much thought. 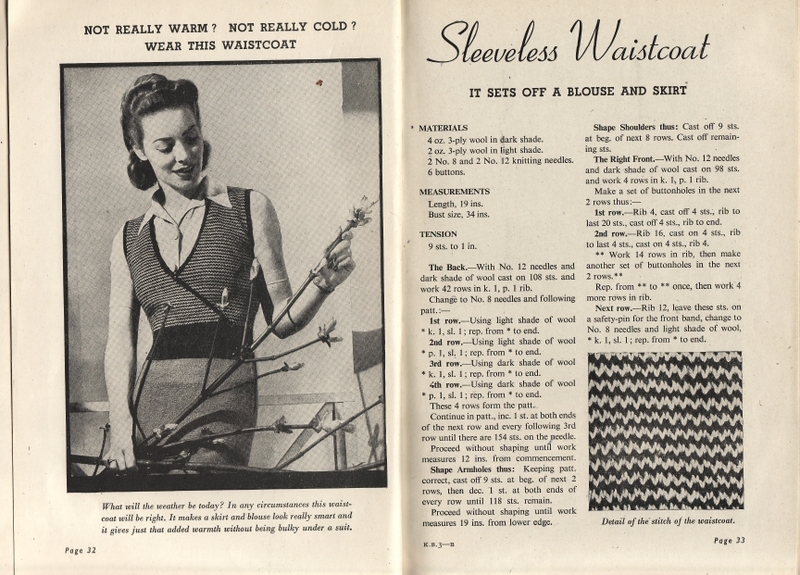 Most of the patterns in this book are only given in one size (were people in the 40s uniformly sized or smart I wonder) and this happened to be in my size and I even had some suitable yarn so I blithely cast on and followed the instructions. You know where this is going don’t you? Beginning a project without thinking is just not a good idea. Ever. 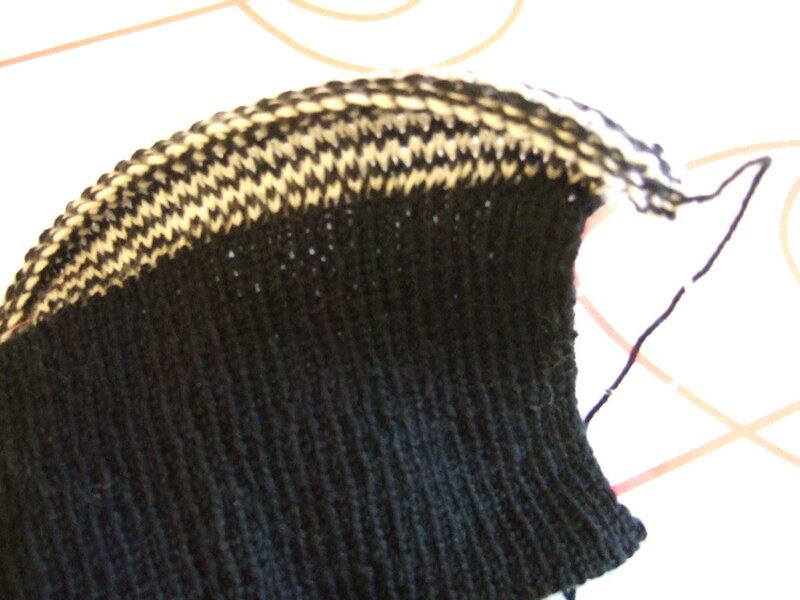 And so I realised that I couldn’t figure out a way to get even edges and good looking increases at the same time. 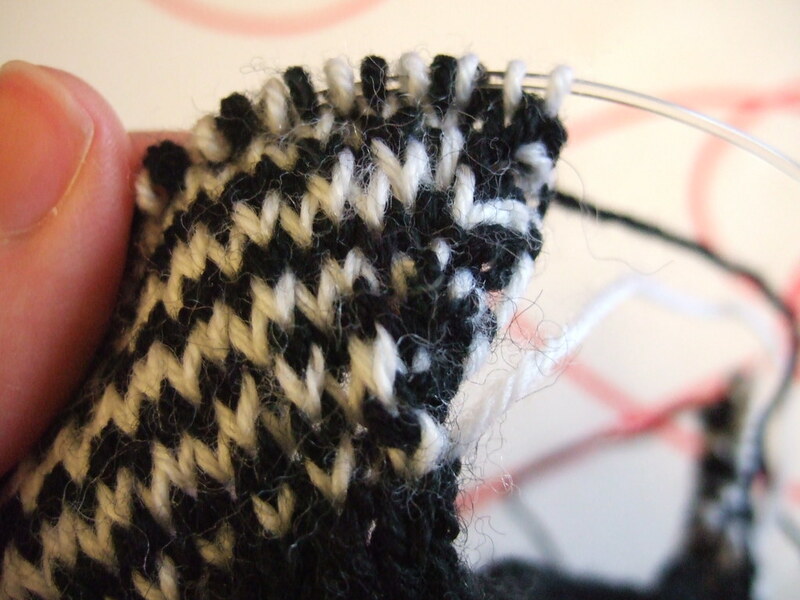 I wondered if that might work better without seams. It then occurred to me that this piece was looking very small to stretch across my back. Given that it’s 12 inches wide that’s not too surprising. This is written for a skinny hourglass figure, with a 34″ bust and a 24″ waist, which I’m sure I could have guessed at if I’d thought about it at all. And so I found myself having to think a little and casting on again. 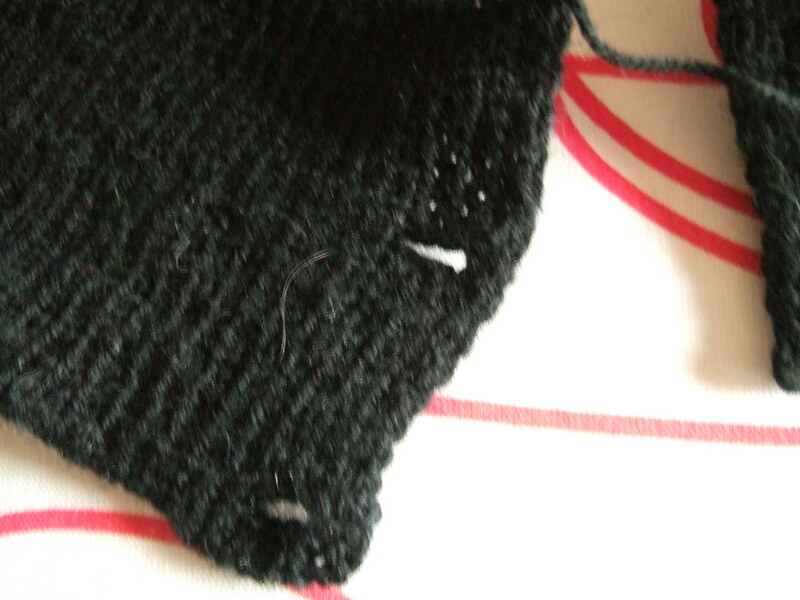 And now I have a pile of black ribbing on little needles to show you. 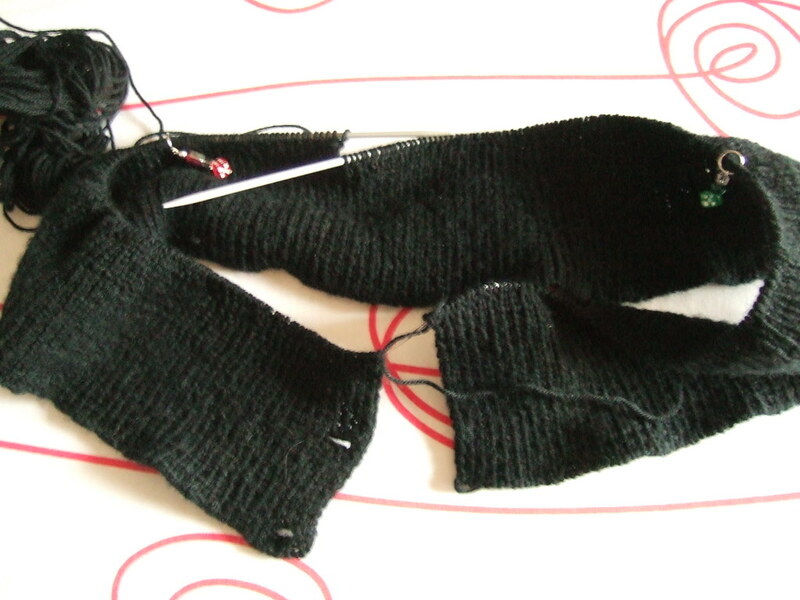 I told you I had been knitting something boring. But wait! There are buttonholes, hows that for excitement? I think some cute red vintage buttons are in order.